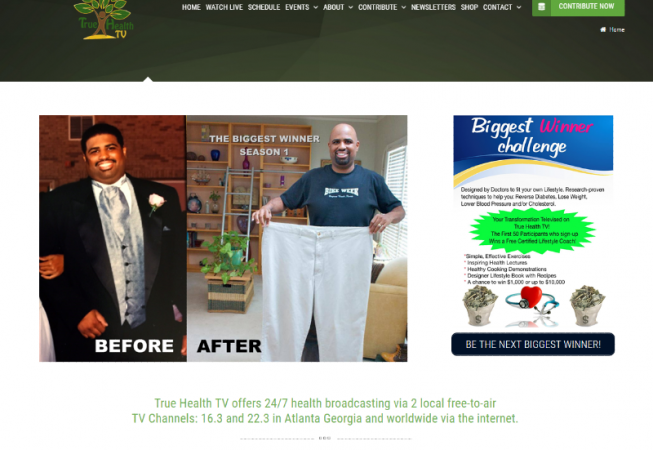 True Health TV, also already had a website, which they were not pleased with. I recommended a WordPress revamp where we feature their favorite programming on the homepage’s slider,clips from their favorite shows and catchy links to volunteer for their many events and their donation page. 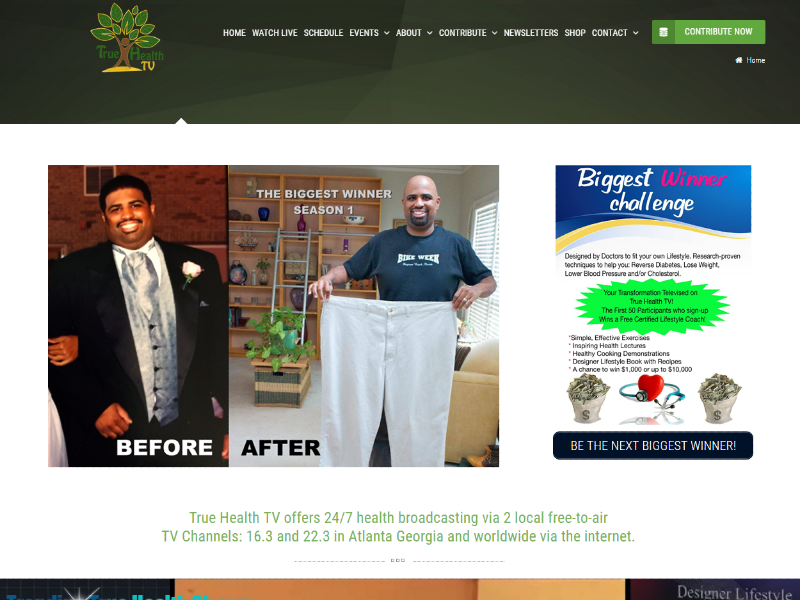 The new design is a more contemporary one, that also allows visitors to easily watch their 24/7 programming live, see their T.V. schedule, download their monthly newsletter and donate to their organization.